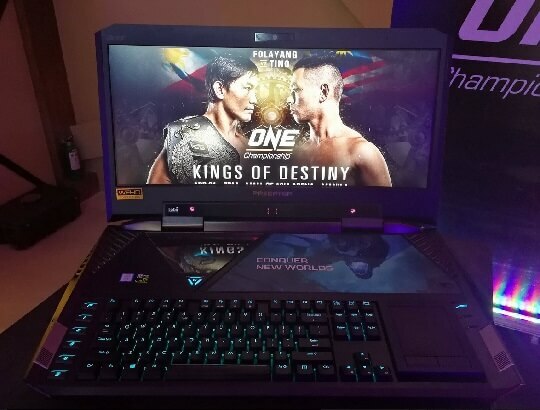 Predator Philippines recently forged a partnership with ONE Championship to bring the local gaming into a whole new level. The Acer's gaming arm will be the official partner of ONE: KINGS OF DESTINY event happening this coming Friday, April 21, at the SM Mall of Asia Arena. 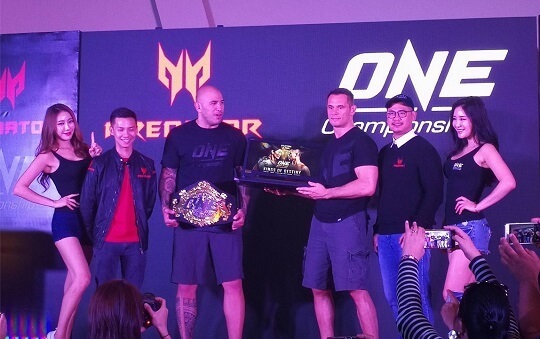 Predator will be sponsoring one of the main fights of the One Championship Kings of Destiny, the battle between Kevin Belingo of the Philippines and Toni Tauru of Finland. That is one fight before the Lightweight World Championship between our own Eduard Folayang and EV Ting of Malaysia. The winner of the fight will receive the ultimate gaming machine to annihilate any opponent, the Predator 21 X, the world's most powerful gaming laptop today. It sports a 21-inch curved display with 21:9 aspect ratio and 120Hz refresh rate powered by overclockable 7th generation Intel processor paired with dual NVIDIA GTX 1080 graphics card. It also has Tobii eye-tracking technology, HiFi sound quality and Cherry MX keyboard for a more intuitive and immersive game play. “So what do we do? We give them the ultimate weapon, and that is the Predator,” Gozon concluded. 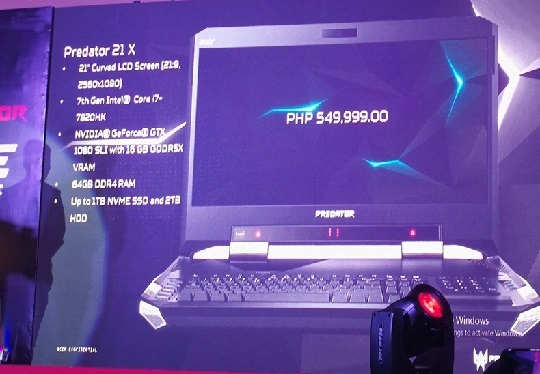 According to Predator, they initially release 300 units of 21 X, wherein five of them are bound to the Philippines. So, if you are interested to get one, better contact them now, just be sure you have Php549,999 lying around your house.